Discover great things to do for the whole family! Fantastic savings at The Entertainer! Browse the biggest and best selection of art supplies offers, with hundreds of prices reduced! Great savings at Baby Monitors. Bargain hunters, stop right here! Save up to £26.97 by simply choosing a Trunki, a Lunch bag, a Tidy bag and adding the stickers. Get free home delivery when you spend over £20. There is a £4.50 delivery charge for orders below £20. Simply spend £50 or more to qualify for free delivery! Spend over £40 and get your order delivered for free! £3.99 for orders under £40. Orders below £30 will have a minimum £4 delivery cost unless stated otherwise. Need gift ideas? Give a brick or two! Students can save 10% off full priced items all year round! Great savings at The Entertainer! Exclusive to Trunki: this bundle is perfect for all journeys long or short all for only £49.99! Join and enjoy great savings !!! Everybody loves babies, most people like kids and no one enjoys the company of teenagers but it doesn’t matter how old they get they’ll always be your children. Here at Voucher Codes Pro we understand that raising little people is hard work and no one can deny that it’s expensive so it’s been our mission for a while now to lighten that burden a little. We want to make sure that all you mums and dads can save money on not just the things you need to buy for your kids but also the stuff you want to buy, like gifts and toys. We host a wide range of babies, kids and toy retailers on site so you’ll be spoilt for choice which means you’ll have access to money of codes and info about sales whenever you want it. Whether you need it for clothing (we all know how fast they grow) or you want to get a bit of Christmas shopping done to make sure you’ve got all the things they asked Santa for, you’ll find a way to save the pennies here. Babies are gorgeous, kids make my heart melt, little people are just the best and we all know and love one or two. Even if you are not a parent then you are almost surly an aunt, uncle or God parent. There is no bigger expense than that of procreating, starting a family. Do you ever really realise just how much stuff this tiny person needs before you are expecting them? The answer for most of us is probably no! There is a thousand and one things to get ready, which is handy, as the team here at voucher codes pro have scoured the plains of the web and found a thousand and one (almost) unbeatable deals to help you guys out. Which toy for which age? Everybody knows you don’t give a 12 month old baby toys with small parts and an 8 year old has most likely outgrown the treasured toys of their 5 year old self. So which toy it the right toy, which toys will be the most beneficial to your child as they grow? At this stage of development the child is learning all the time, everything they see is new and novel to them. They also have no sense that objects continue to exist once they are removed from their field of vision yet they do recognize that what they do has an effect on the world. The best toys to give during these years are things that enforce their sense of affecting things, such as a rattle to make noise or the bouncing seats with lots of tactile parts. This age is characterised by the child having difficulty seeing the word from the viewpoints of others, it is also the age when language comes on leaps and bonds. The best toys for a child around this age are ones that better develop and practice their language skills. This would include books and leapfrog pads. Also toys such a dolls and anything that can have humanistic qualities, as this teaches the child how to see the world through the toys eyes and in time other peoples. This stage is all about logic and reasoning, the child now has a good understanding of the world and how it works. It’s time to break out the puzzles, crafts and video/board games in order to develop this logical thinking and boost it towards abstract reasoning. This is where the journey ends in terms of cognitive development, the child will have the sense of mind to ask for what they want to play with and won’t stop bugging you until they get it. All you have to worry about after this is the awkward teenage years, but that’s a whole other story. This fantastic store has been in operation since the early 70s and in that time has grown so much that today they have well over 700 stores nationwide. It has even been estimated that most of the UK population are never more than 10 miles away from an Argos. Everything needed to help prepare for the new arrival can be found as well as all the latest toys and games at amazing prices. This one stop toy shop opened its doors for the first time in 1985 and has never looked back. Beginning from a small collection of 5 stores, there are now 1500 stores in many countries across the globe. Toys R Us Direct began in 1996, and allowed products to be delivered right to the doors of the customers. As the name would suggest this retail giant brings joys to children in the form of toys. Selling both state of the art consoles and games alongside classic favourites that hold nostalgic memories. The Babies R Us department caters to new and expecting parents and holds items such a car seats and cots, bottles and comforters. Matalan was the UK’s first attempt at bringing the large shopping outlets of America overhear. These massive, comprehensive, out of town stores stock a wide range of items, from clothing to homewear. The business has come a long way in the 29 years since it opened its first store in Preston in 1985 and now there are over 200 locations nationwide. Unlike the retailers already mentioned, Matalan’s strong point is their amazing array of clothing items. With new collections always being introduced and sizes to suit all ages, customers are spoilt for choice. All your little ones clothing needs can be sorted in one place. Christmas 2014! What’s hot and what’s not? 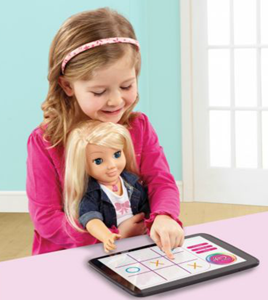 Without a doubt the hottest toy for little princesses this year is the My Friend Cayla doll. She is more than just a doll however, she can talk to you and answer questions by browsing the internet. 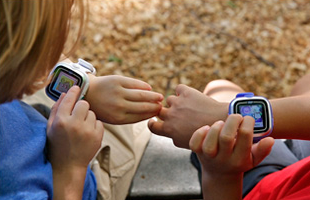 All you have to do is sync her up to the web and your child can ask as many questions as they like. Don’t worry about bad question either as there is a pre-defined list of questions that Cayla won’t answer. 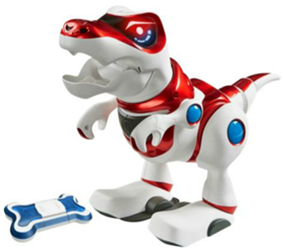 This adorable T-rex is a sure fire hit with all little men. With amazing interactive features such as hand gesture recognition, as well as sensitivity to light, sound and movement. Give him his bone and watch him munch it all up and then burp in appreciation. With over 100 interactive play features the fun will be never ending. This toy is for both boys and girls and is already on top of lots of Christmas lists. Available in a variety of different colours and chock-a-block with fun games and activities. Take pictures and doctor them or record your voice and play it back using one of the special effects. It’s also a clock, stopwatch and timer so can be educational as well. Kids are sure to love it. All of these toys can be found with the above mentioned retailers.